Credit to image used in pin goes to Abi Porter and Abi Porter. – Changes were made to the original image. Not to sounds like a hipster, but I was experimenting with essential oils before it was cool on Pinterest. Just kidding guys, just kidding.. But in all seriousness, over the last few years, I’ve found a few essential oils that really do my skin and health justice which is why I decided to make this post. 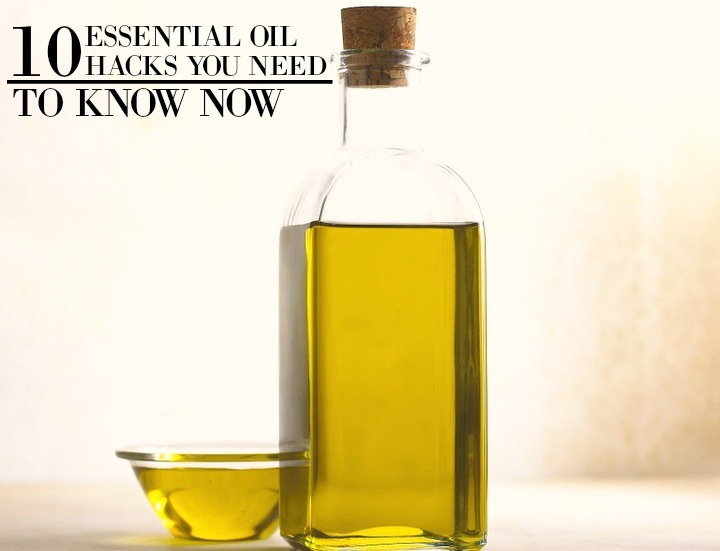 Down below are some graphs that will show you some great benefits to different oils, however I decided I’d pick out a hack (or tip) from each one that I know personally to be true (or a tip that I think is the best out of all of them). Now I could have just done that without the graphs, however, I love infographics and I know a lot of you guys do too. And that’s why I decided to put them in this post; so I hope you get some good tips and hacks to keep your skin and health ageless. Alzheimer Treatment: Now this probably sounds like one of those far fetched remedies for illnesses, but I’ve been able to see coconut oil help people with this Disease. Through certain properties, patient’s brains can improve with health and memory when having a steady intake of coconut oil. Who knew right? Insomnia: Lavender is a natural calming scent which is why it’s great for helping you relax and fall asleep. And it’s why a few of my friends suggest it as an awesome sleep aid (also, it makes you feel like you’re sleeping on an actual flower bed.. kinda). Acne Treatment: Only consisting of coconut oil and tea tree oil, it makes it the most simple beauty product (but that’s not why I recommend it). Both are antibacterial and fight breakouts, but they also have healing properties which makes them great for healing scabs and scars. Definitely something you want to stock up on (I almost wrote stalk.. not the meaning I was going for). Yes! Natural deodorant! It turns out that some deodorants have ingredients in them which can cause cancer after enough use. So creating something natural is just a plus in my book. Keeps Oil Levels Balanced: There are a ton of benefits with Jojoba oil, but I really like how it mimics your own skin oil and protects you from breakouts. Definitely a great mask to put on at night. Detox: Putting some lemon essential oil in your water is great to get the toxins out of your system, but it’s also great for giving you a metabolism boost (ya know, the part of your system connected to weight loss?). Reduces Cough and Sinusitis: Eucalyptus oil is great for opening up your sinuses and stopping post nasal drip (the stuff that becomes phlegm and causes you to cough). Seriously great if you’re sick or suffering from allergies. Use geranium, lavender, and rose for calming: All three of these ingredients are great for putting in your bath after a long day to help you get calm and de-stress. Sugar Scrub: Need a good scrub to fight wrinkles and get the dead skin cells off? Try their suggestion for a sugar scrub. For those of you who don’t know what a carrier oil is; it’s an oil that you pair with essential oils to get the most out of their benefits. Carrier oils can be ones like jojoba, rose, argan, etc. Orange Essential Oil: This is a great oil to inhale, put on your skin, or even put in some water if you’re feeling down. It helps to lighten your mood and make you feel more positive. It can be a bit tricky when picking out the right essential oil for your internal and external health (or the right ones for DIY projects). But I suggest just picking one or two oils; you don’t need five of them to keep your looks and health up. You just need a couple to become your go-to’s so you can promote the best skin and internal health for yourself. So read up on the provided sources below or do a few searches and see what’s best you. Now if you have any essential oil tips or hacks yourself, let me know in the comments below! I’d love to hear about them!